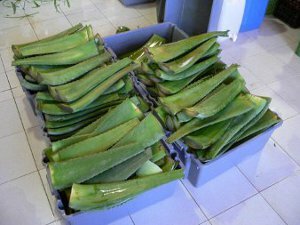 Cut by a vertical incision the thicker outer leaf from the outer part of a mature Aloe plant as low and close to the base of the plant as possible, taking care not to injure the body of the plant. You can preserve it for 10 to 15 days in the room or from 20 to 25 days in the refrigerator ( however it is better to be consumed as soon as possible). 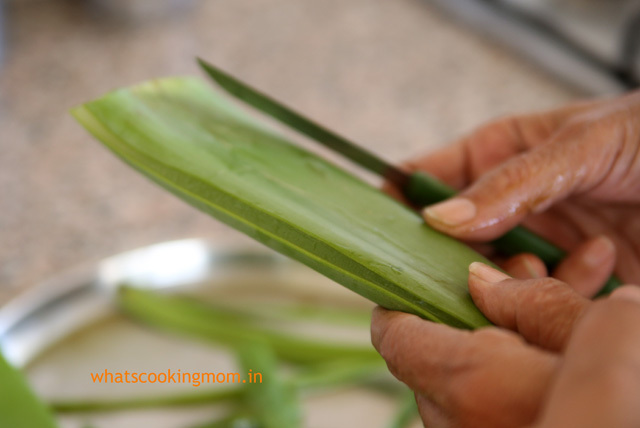 Start by cutting off 2 large aloe leaves. This is usually sufficient to make 1/2-1 cup of aloe vera gel which is plenty. Because there are no preservatives added, it will go bad much quicker than commercial ones, so just make smaller batches when you need them!